Thanksgiving is coming up at the end of the month and I wanted to share some floral inspiration with you. 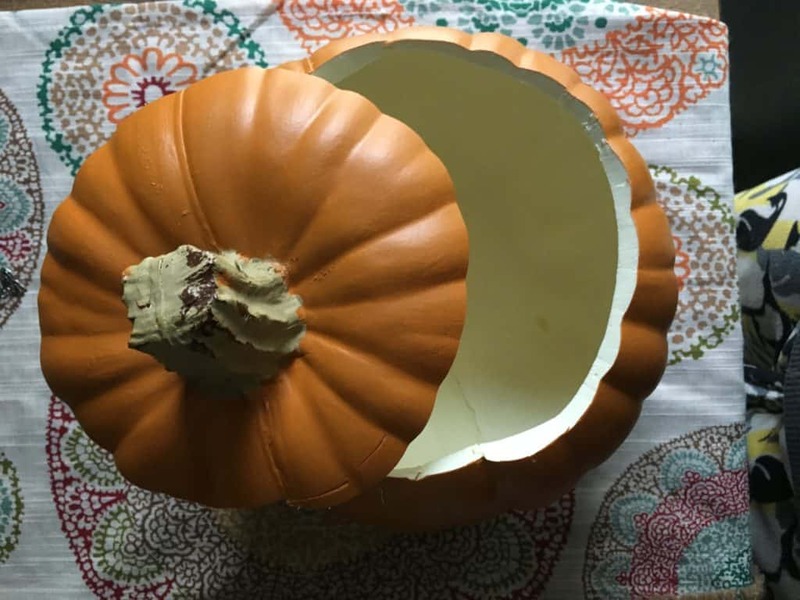 Just because Halloween is over doesn’t mean we have to put away the pumpkins yet. As far as I am concerned decorative gourd season is still going strong. 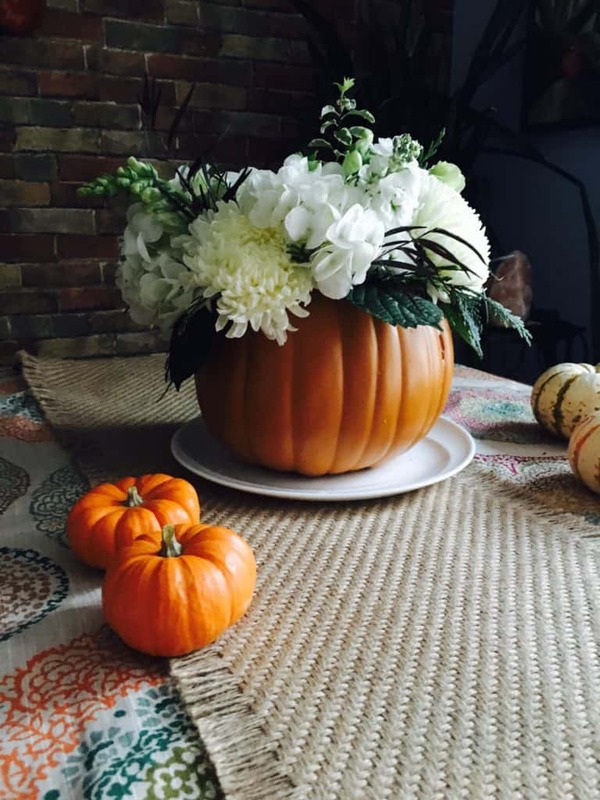 So grab a real or fake pumpkin and lets make a fancy pants Thanksgiving floral centerpiece. 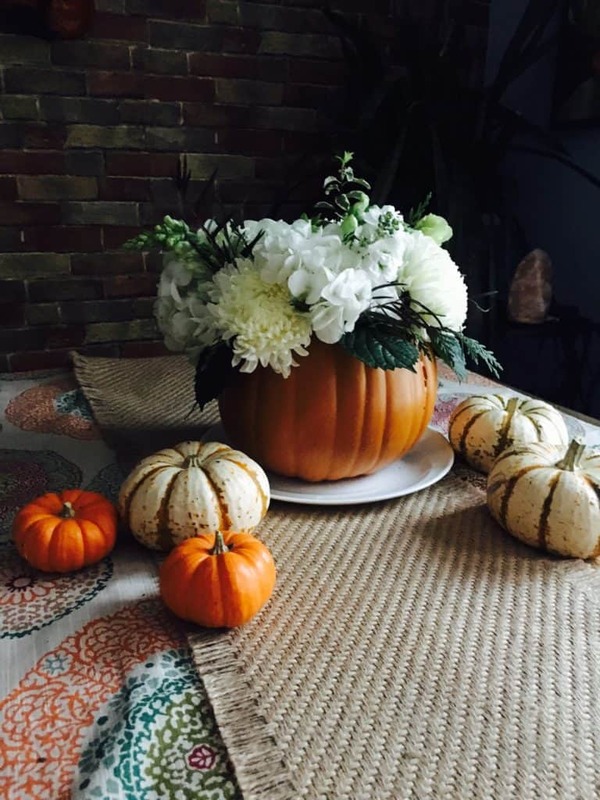 For this arrangement I used a fake, carveable pumpkin from the craft store. They are for sale for Halloween, but like I said, pumpkins and other varieties of squash are totally acceptable for Thanksgiving. 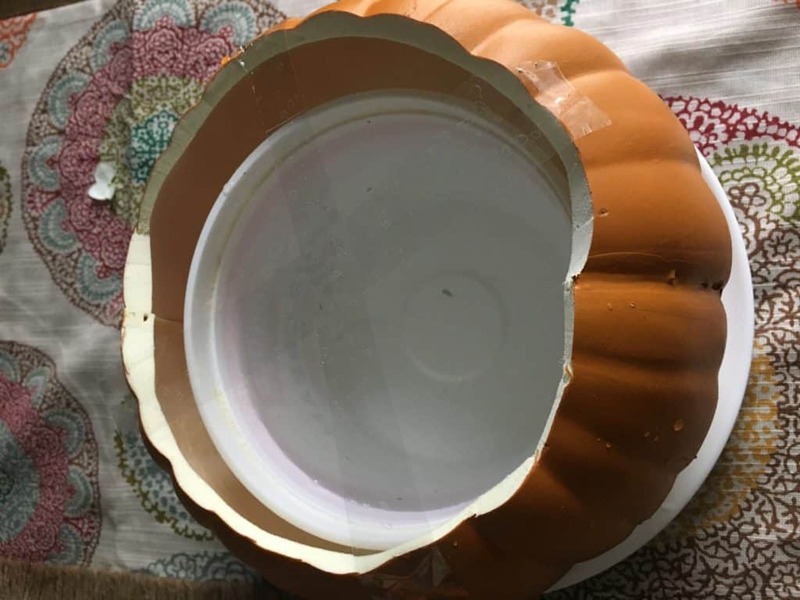 Carve the top of your pumpkin off and place a bowl or something waterproof inside. I used an old sour cream container and filled it with water. Then I took some clear tape and made an X over the top of the opening. This will help support the flowers so they don’t sag or droop all over the place. Next, add some filler to support the flowers and add some greenery. 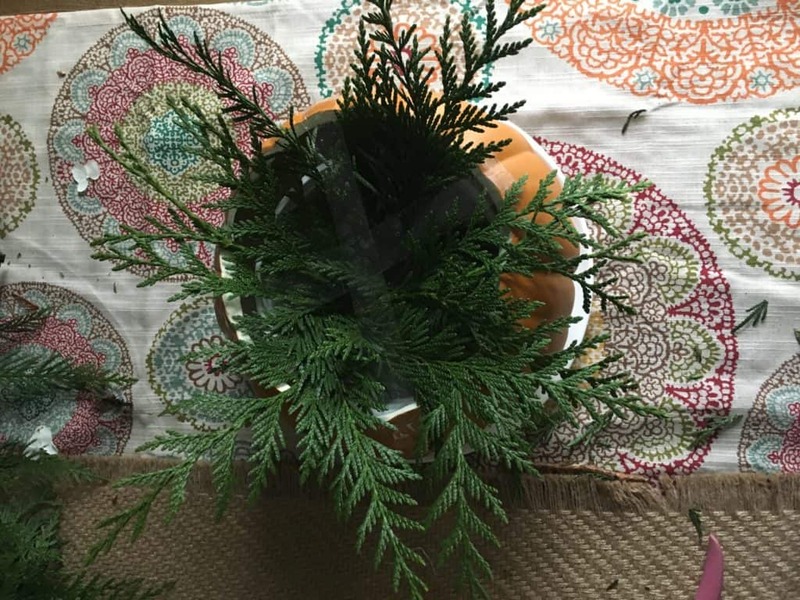 Normally I would use ferns but since I didn’t have any I used cedar branches because I had a ton of those instead. Clip them and place them into the water like I did above. Now you can begin to add your flowers. Trim off leaves from the bottom of the stems and start placing them in each of the 4 quadrants that you marked off with the tape. 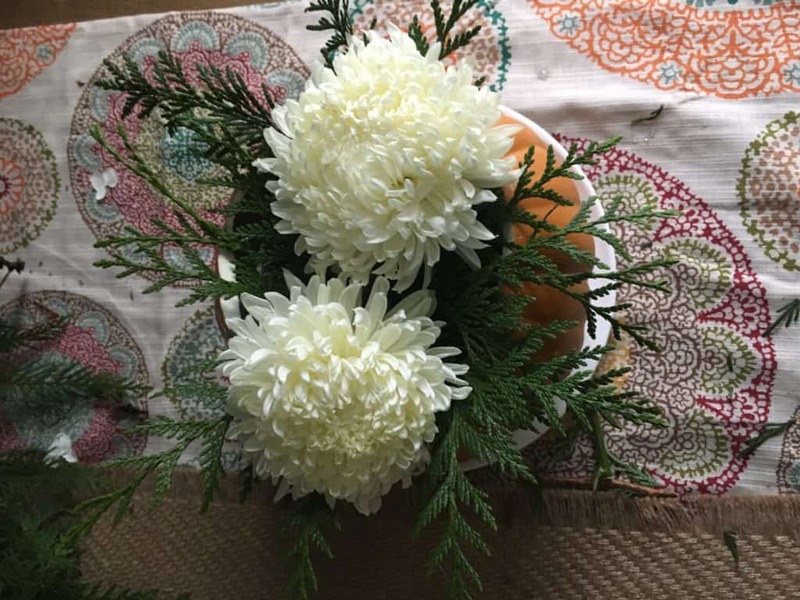 I used all white flowers like mums, hydrangea, snap dragons and a bunch of other stuff I don’t know the name of (sorry, that is completely unhelpful to you, I know). Try to add a variety of textures and heights. Fill in any empty spaces with leaves, greenery or more flowers. Rotate your arrangement and view it from all sides to make sure that it looks balanced. Special thanks to my friend Natalie for giving me some flowers to play with. She is a professional florist in Bellingham WA. 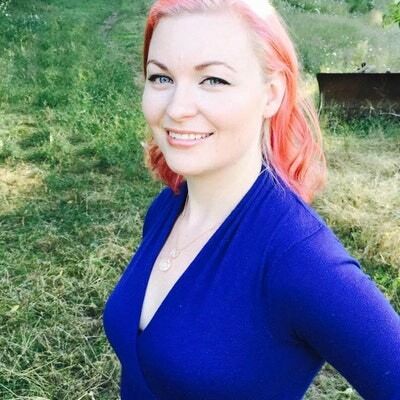 If you want to see how a real pro does it, Check out her site to see some of her amazing work. What kind of tablescapes are you planning for Thanksgiving this year? Have you even started thinking about it? 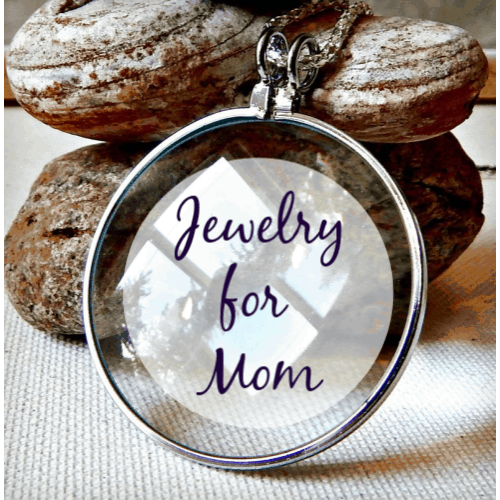 Let me know in the comments and if you liked this post feel free to share it on social media!